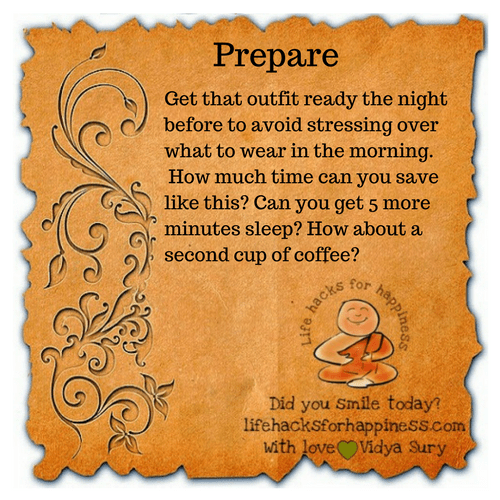 Get that outfit ready the night before to avoid stressing over what to wear in the morning. How much time can you save like this? Can you get 5 more minutes sleep? How about that second cup of coffee with your loved one?